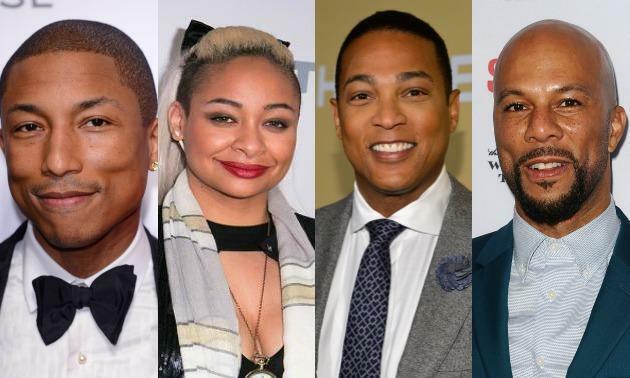 It seems that there is a collective of black celebrities, who have been outspoken about advertising “The New Black” concept as a mindset for black people to adopt. Pharrell Williams “The New Black doesn’t blame other races for our issues.” So decreed when the hit-making superstar spoke to Oprah last summer about the current racial climate in America. In the months following the release of Pharrell’s sugary soul-pop hit “Happy,” the country struggled through a summer that saw a string of high-profile cases involving police killing innocent black citizens. But while speaking to Oprah, and having watched clips of fans paying tribute to his uber-cheerful single. “The New Black dreams and realizes that it’s not pigmentation: it’s a mentality, and it’s either going to work for you or it’s going to work against you. And you’ve got to pick the side you’re going to be on,” Pharrell said.His words were laughably empty and insulting to the current climate, the history of black ambition in the face of tremendous cultural oppression, and the reality of institutional racism; but they also represented a vocal cadre of black celebritydom that is calling for the black community to basically “get over it.” With the racial conversation in the national spotlight, stars like Williams, Kanye West, and others aren’t addressing racism in as much as they are deflecting the conversation. Rapper/actor Common appeared on The Daily Show With Jon Stewart last week to promote his new film Run All Night. Alongside singer-songwriter John Legend, the Chicago rhymer won an Oscar in February for “Glory,” the theme song from the Martin Luther King biopic Selma. While discussing the legacy of the 1960s Civil Rights Movement and the current tensions, Stewart expressed what he’s seen from white people who are resistant to discussing structural racism. Throughout the interview, Common continued to liken American race relations to a difficult romantic relationship (“Let’s get past this”) while echoing comments he’s made both during his klOscar speech in February and in recent interviews. Common wants us all to love each other. His Oscar speech was a sentimental bear hug, the kind of expression of superficial “unity” that tugs at the heartstrings without forcing anyone to think deeper about the specifics of conflict. While turning the Edmond Pettis Bridge—where people marching for the right to vote were beaten by officers of the state—into a symbol for this “unity,” his sentimentality is an easy pill for the Oscar crowd to swallow. “The spirit of this bridge transcends race, gender, religion, sexual orientation, and social status. The spirit of this bridge connects the kid from the South Side of Chicago dreaming of a better life to those in France standing up for their freedom of expression, to the people in Hong Kong protesting for democracy,” Common said at the Oscars. The rapper Common made waves during a recent appearance on The Daily Show with Jon Stewart when he offered his take on Raven-Symone in America. It isn’t nearly so simple. Also this week, actress Raven-Symone found herself in the midst of another controversy after she defended the racist remarks Univision host Rodner Figueroa made about Michelle Obama. Figueroa was dismissed from his position on El Gordo y la Flaca following the comment and the ensuing fallout, but when the subject came up on The View, Symone was dismissive of the racial implications. Co-host Rosie Perez blasted Figueroa for his comments, and went on to address racism in the Latino community. “This is a problem in the Latin community. We do not talk about that,” Perez stated, emphasizing her disgust that a racist joke would be made about the First Lady of the United States. But Symone defended her position. The former Disney starlet is guest-starring on hit shows like Empire and black-ish, and she came under fire in 2014 after she announced that she prefers not to think of herself as an African American, but as simply an American. “I don’t want to be labeled gay, I want to be labeled a human who loves humans,” Symone told Oprah last fall. “I’m tired of being labeled. I’m an American. I’m not an African American. I’m an American. They conveniently romanticize their climb to wherever they are in their lives and careers, telling themselves that they got there via personal drive and ambition that is unique to them. But structural obstacles kept most of their peers stagnant in socio-economic standing; these stars achieved in spite of racism—not because it doesn’t exist. So it is dangerous to put the onus on the oppressed people, as if you believe no one cared to climb the ladder until you came along. Poor public schools and overpriced housing mean that things aren’t really designed for you and your peers to “make it out.” You can’t be “exceptional” without being an exception. The New Black perspective sounds like an old black pathology. Exceptionalism and respectability have never saved us from the oppressive weight of racism. We’ve always achieved greatness in a country that doesn’t see value in blackness beyond a commodity; maintained dignity in a land that has consistently dehumanized and stigmatized who we are. White supremacy often insists that black people prove themselves exceptional just to share a table with white mediocrity. It is not for black people to extend a hand; it is for the privileged and the powerful to remove their boot from the community’s collective neck. These celebrities seem to be disconnected from the pulse and spirit of many of their peers, but their voices resonate far and wide in pop culture. And more black celebrities should take the struggles of the community at least seriously enough to not offer condescension, rhetoric, and smug dismissals when confronted with the realities of race and racism. Those with the biggest pulpits can’t continue to preach the gospel of positivity, condescension, and denial. It was deflecting when Bill Cosby gave his infamous “Pound Cake speech” in 2004 and it’s deflecting now. It’s an old routine. When you think about it, there isn’t much “new” about New Blacks at all.